5.00 out of 5 based on 95 user ratings. My husband and I have been to many weddings and watched many bands....but nothing compares to Around Town Entertainment. Adam Michaels, the leader of the band is personable and truly a showman. His band was professional and talented. I couldn't have been happier with our decision. If I were to get married all over again I would hire them again...hands down! I HIGHLY recommend Around Town Entertainment!! Having a full dance floor during a hurricane must say something about the band! Around Town is amazing, talented, reliable and they definitely know how to keep the party going. They played such fantastic and versatile music throughout the night. I loved their version of our first dance song, even more than the original. Guests were complimenting the band that night, and they still are. Adam Michaels was personable, responsive and really great to work with. He and his band made my wedding everything I could have imagined! I hired Adam and his band after hearing them play at a friend's wedding. They are the best wedding band I have ever heard - they truly know how to get people off their feet and having a good time. I especially loved how diverse their repertoire is - they can play the oldies but can also play pop and top 40 (Outkast, Britney, you name it). My guests had a fantastic time and I got tons and tons of compliments on the band selection. Highly, highly recommended. Adam Michaels, the founder of AROUND TOWN ENTERTAINMENT, is the musical director and the M.C. With over 15 years of experience in the industry, Adam knows exactly how to design the perfect repertoire of songs for each event. His personality combined with his ability to engage a crowd, creates an elegant yet exciting event. 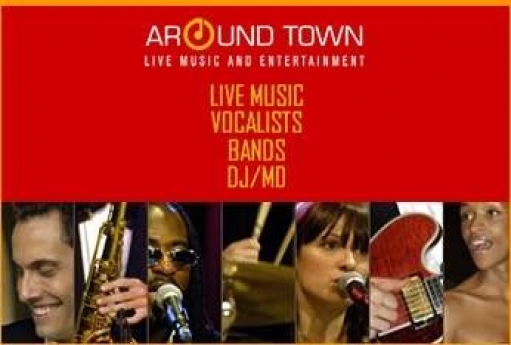 AROUND TOWN ENTERTAINMENT is a live musical group made up of seasoned vocalists and musicians that have performed for some of the most prestigious events in New York City and around the country. Whether providing first class music and entertainment for corporate and charitable events or adding the perfect elements of excitement for that special wedding day, Around Town is best known for their ability to make every event unique and spectacular. Around Town is a 'set' group that is rehearsed and polished. 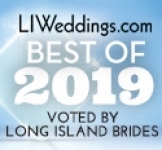 With their dedication to perfection, they are always prepared to perform today`s top radio and club hits as well as bringing life to the old classics, including jazz, motown, disco, rock and roll, soul, and big band. Their high energy performance creates a dynamic, yet sophisticated party atmosphere for all to enjoy. When it comes time to planning an event, Around Town is there from day one to help design an entertainment outline. With an experienced advisor and an extensive song list, each client is guided through the selection of music styles and direction for their event. It is important to recognize that every client has different tastes and needs, and therefore the music and entertainment must adjust accordingly. “Music is the most important thing in a celebration. It is also important to know that you are dealing with professionals who share in the excitement of every single event. We help lift the event to its highest level of energy, and create an amazing sophisticated atmosphere”. Taking your entertainment to the highest level of fun, the live performance of Around Town Entertainment is one that can’t be beat. Actually most people seem to want the energy that live music brings to an event. DJ's can bring more of the very 'produced' sounding music. Our live bands focus on bringing an eclectic mix to each event. Not trying to be the typical 'wedding band,' we have all styles of music ranging from the classics to what is current on the radio right now, while infusing our clients' favorites. We focus on sophisticated, yet high energy approach that keeps everyone on the dance floor. 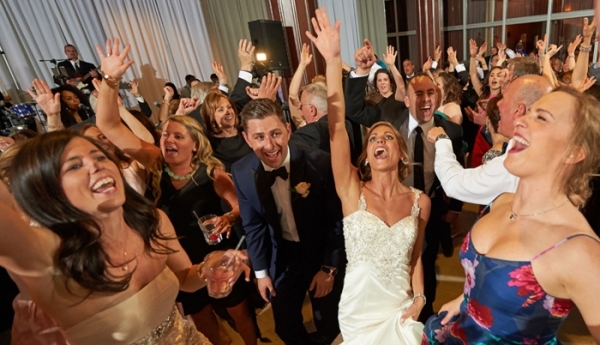 2.In your opinion, is a band best suited for the cocktail hour or reception or both? I usually like a nice jazz trio for the cocktail hour. It sets a nice tone for the evening, while not interfering with guests’ minglings. 3.Tell us about working in conjunction with other types of entertainment such as a DJ. 4.What types of entertainment music do you offer? We can provide all entertainment for every event. As we are a full entertainment company, we offer live bands, orchestras, DJ/MC, dancers, specialty acts, lighting and full production. 5.Tell us about how you motivate the crowd and keep the party going? 6.Can couple’s customize their song list or do you have a repertoire they need to select from? Our songlist is over 1000 songs. We can absolute help clients to customize their songlist. If we don't have a particular song on our list, we will learn it and make it perfect for the event. 7.Give us some insight on what a couple should look for when choosing a band. It is important to look first and foremost at the talent. Make sure you are dealing with the highest level of musicianship. Avoid the large 'factory style' companies who cannot show video or live performances. This usually indicates that they piece the band together as needed. 8.How far in advance should a couple schedule a meeting with you? 9.How far in advance should a couple book with you? 10. What do you require for setup and is there anything they should inform the catering hall of? We always come with a professional sound team. There is very little that we require in the way of set up. Catering Halls should know that we are fully insured. 11. Is this something younger as well as more mature couples can take advantage of, benefit from and have fun with? Absolutely! We are music for all! Every genre of music will be performed. Some who prefer the classic standards, such as Sinatra, will be thrilled and others who prefer the latest dance hit will be shocked at how current we are. 12.What are some of the most requested songs you can boast you do? I think I am the most proud of the fact that not only do we already know just about every song in the book, we know the most unusual, obscure songs as well. This thrills our clients who have an eclectic taste in music. 13.What, in your opinion is the developing trend in bands and wedding celebrations. I think most don't want the 'typical wedding band' with what they call 'tacky' selections. Our clients are intelligent and know great music. So we have to be at the top of our game. 14.Are bands appropriate for both daytime and evening events? Bands are great for both. People always love amazing music no matter what time of the day. 15.Besides the popular music most of us are familiar with what other types of songs or music do you do? Every style of music is covered by Around Town. 16.Can you also play requests? We can always play requests, but we make sure our clients want us to accept requests, as they may have very specific ideas of what they want for their event. 17.Do you do any ethnic songs such as Italian, Irish, or Greek tunes to name a few? We do all ethnic styles! 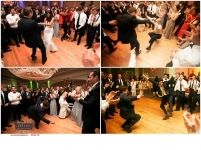 18.What can hiring a band add to the wedding celebration? A band creates the hype and the energy. In my opinion, the band is responsible for making the event the best it can be. 19.Tell us about some of the latest innovations and how you are keeping up with the market trends. We are always at the forefront of what is current and new to music, song choices, etc. 20.What kind of “sound” is your particular band most noted for? (Jazz, swing, big band, etc). Our band is most noted first for amazing vocals. As we cover every style, we are known for bringing it all to each event.